The online battlefields have never been fiercer. With everyone competing for the crown of multiplayer gaming on handhelds, a game needs to be more than great; it needs to be MIGHTY. 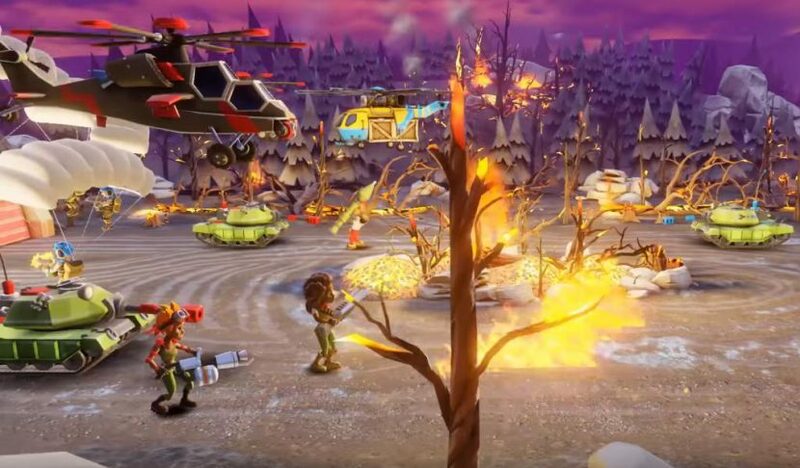 To answer that call, in comes Hothead with Mighty Battles, a hybrid of first-person action and Clash Royale strategic brawling. We sat down with the project’s lead producer, Peter Jones, to get the inside scoop on their latest title. Appolicious: We’ve seen Clash Royale-likes, and we’ve seen mobile first-person games, but a melding of the two is something we’ve yet to really see – let alone, one where the player is their own base. What inspired Mighty Battles? Peter Jones: We looked at many different genres with varying gameplay styles while also trying to leverage the work and experience gained in the FPS market. We love shooter games here at Hothead, and we’re always trying to think of how we can expand the genre to bring something unique to it. Once we came up with the idea of doing a battle arena game that leveraged our expertise in mobile shooters, it kind of took hold from there. Battle arena games are obviously very popular, and we believed that our twist on them would appeal to a broad audience base. That’s why we designed the graphics and the characters the way we did — with a little bit more cartoon-like appeal to them, as opposed to the realistic imagery of, say, our Kill Shot franchise. 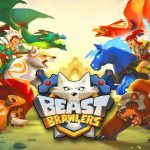 App: What is key to keeping the pace lively in an arena battler like Mighty Battles? 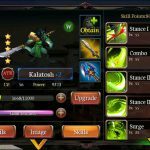 PJ: Lots of unit balancing and a wide range of unit types and abilities. The introduction of new units can create openings to push other units or another playstyle in new ways we hadn’t imagined which when done right can really have an impact on keeping things lively. But most importantly, the iteration on ideas even when we think we’re done with something. 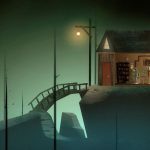 App:Why do you think the genre has become so popular for developers of late, especially on mobile? PJ: Generally, it’s easy to understand, has compelling and deep strategies and can be pretty fun and engaging in bite sized sessions on mobile devices. App: Multiplayer fans charge through content. How does your team maintain updates and new feature rollouts? PJ: Our hope is that if we do a good job of keeping an eye on unit balancing, we can continue to compliment that with a decent pace of injecting new content of units, division progression as well as building out robust event systems and additional new features that will keep pace with the needs of our user base. App: The Hothead team has a solid track record with shooters, such as with KillShot and KillShot: Virus. What is it about the FPS genre that keeps drawing your team back? PJ: The constant challenge to create the same experience of console FPS on mobile. It’s a competitive genre on any platform, let alone mobile and we feel that there is always more we can do to push the limits and build the best experience for users. App: What are some lessons your team has learned in bringing first-person action to mobile? PJ: One lesson is that you can’t overcomplicate the gameplay. For console or PC shooter games, the mechanics can be more complicated because you’re playing with a controller or a keyboard, but with mobile all you have is the screen to move the player, aim the gun, shoot the bullets, and everything else. If you try to make the mechanics too complex then you’re just going to frustrate your players. The control scheme is everything. Due to the limited “controller” you need to create an experience that lends itself to mobile devices that’s not moving, aiming, and shooting all at the same time. Another lesson is that you can’t skimp on graphics. Today’s smartphones are so advanced that you can design pretty much the same graphics you’d have for console games, and players have come to expect a higher level of graphics than what they would have expected maybe a couple of years ago. There are other lessons, too, but of course we can’t spill all the beans! App: Indeed. Your previous projects have been very gritty, but Mighty Battles opts for a more whimsical tone. Did it start out that way? Are players more receptive to cartoon aesthetics in arena battles? PJ: The origins of Mighty Battles were deeply steeped in our past projects where we looked at it from many angles where it resembled esthetics akin to a Kill Shot title. The gameplay mechanics shifted which ultimately got us examining a lot of those early prototypes from different perspectives. This lead us to start exploring visuals and themes that were softer to previous projects. The mechanics of the game also tied in nicely with that and a desire to try to appeal to a wider audience because of it. App: Any concepts that didn’t make the cut for Mighty Battles? One can imagine marrying FPS to a strategy game took a lot of tinkering. PJ: Lots of concepts are on the operating room floor. The team transitioned through many iterations of the game either on paper and some that made it to the functional albeit rough working prototypes. We had concepts that were more action than strategy and vice versa until we ultimately reached a good marriage between FPS and strategy. App: Lootboxes are another popular, though sometimes divisive, element to modern multiplayer games. 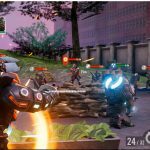 How does the team at Hothead keep, well, their players cool headed about it with Mighty Battles? PJ: Nice. We try to provide users with the right mix of rewards and value within our crates. Whether it be through reward crates for playing Ranked Matches, Free, Damage or Store/IAP crates, we want to make sure users are getting value for their time or dollar which will allow them to build competitive squads for competing from day 0 all the way to day infinity. Throughout their time engaged with Mighty Battles, we hope they can progress at a pace suited to how they choose to play the game while always wanting to find more of a card they don’t have or extras to make their units stronger. Giving them value for time spent is also key. We do our best to monitor feedback and suggestions from the community as well. App: Are there any other genres we might see Hothead introduce to fans of FPS? I doubt we’ll see an FPS/Hidden Object Game, but perhaps there’s one you’d personally like to see explored? PJ: I would honestly like to see what can be explored from the [knowledge] we have gained from developing Mighty Battles. It’s been a challenge all the way through balancing personal taste and desires for the game against what our potential customer base would want. Taking that experience and iterating on either a sequel or exploring how we could innovate on it again would be very intriguing if we can find the right collection of tricks in our bag to work with. I think there’s still a lot to be done within this new experience we’ve created. App: Finally, a question specifically for a man who certainly must wear many hats – Peter, how is it working as a producer at a game studio? What are some of the highs and lows? It’s a critical job in game development, but we rarely see it discussed. PJ: At the end of the day, working in a game studio, in any role is amazing. I speak as someone who started out as a junior artist and worked my way through Lead and Art Director roles before becoming a producer. Being a producer can bring with it a wave of emotions from the highest of highs one day to low points the next day. Highs can be huge like launching a game to a world wide audience or seeing something new that an artist or engineer has innovated on that was beyond expectations. Lows can be spending a lot of time in meetings and not enough time playing the latest stuff in development when it’s freshly done or looking at spreadsheets of tasks and bugs. At the end of the day, it’s all part of the job and par for the course. Every day is different, most days, so you never know what to expect. Being surrounded by a great team allows me to see many sides to the various problems and solutions we constantly face as we develop games. It’s fast paced and keeps you on your toes for sure. Focus and dedication are critical, but we have to remember we’re not saving lives, we’re making games so we always want to ensure that we have fun while we’re doing what we do.